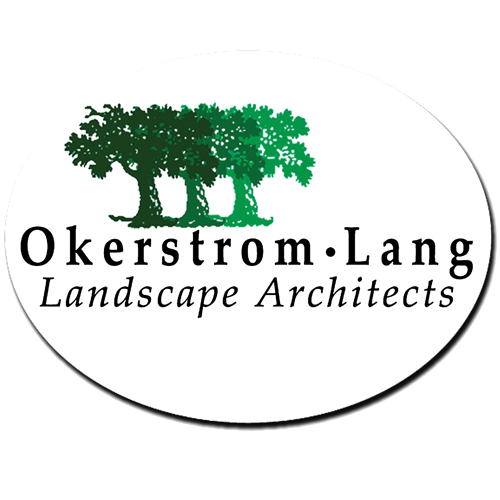 OL Ltd collaborated with Architect and clients for all site and landscape projects before construction began including master plan, site and landscape designed projects from master plan. We completed the Permits required from the Monterey Conservation Commission including Scenic Mountains Act and RFD for work along a BVW. 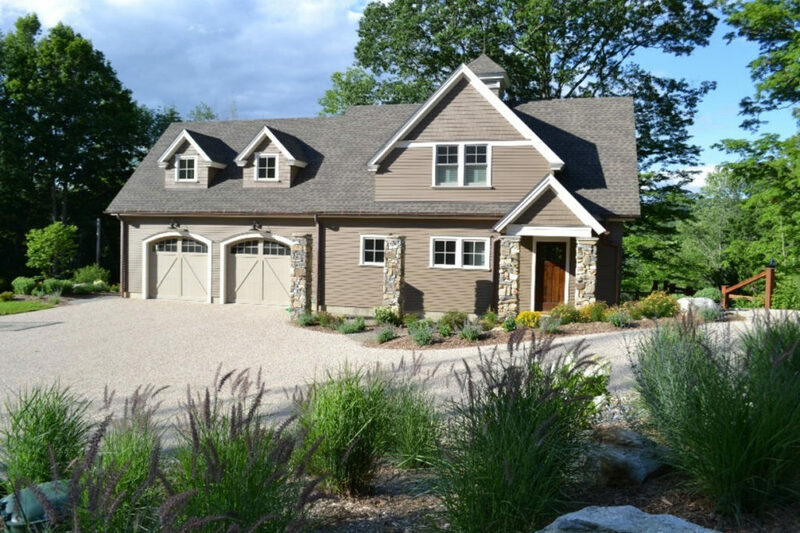 Design work included siting new carriage barn, drop off lane to new mud room / screen porch, layout, grading & drainage, lighting, outdoor shower, landscape, new lower septic field converted to native meadow, work along Lake Garfield waterfront, invasive species removal, etc. 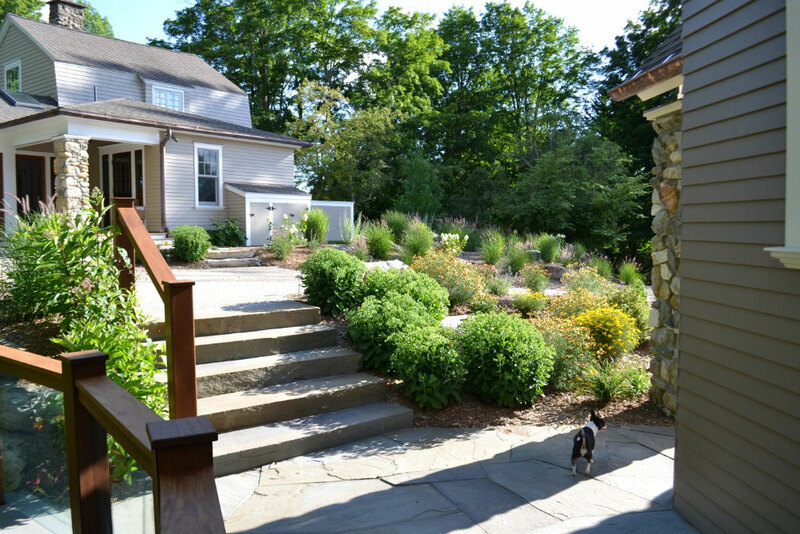 Stone steps to new mud room & screen porch at Main House (circa 1895), plus ‘Bella’, one of our 2 Chihuahuas! 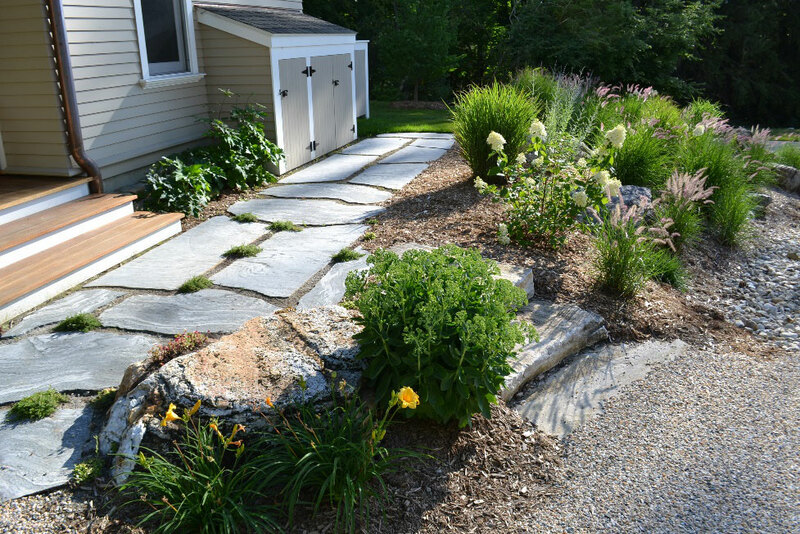 Sliced native boulder pathway, native boulders & steps, summer thru fall landscape design that flows with the wind. Low growing Sedums and Wooly Thyme planted between step stones. View from Carriage Barn hot tub deck. 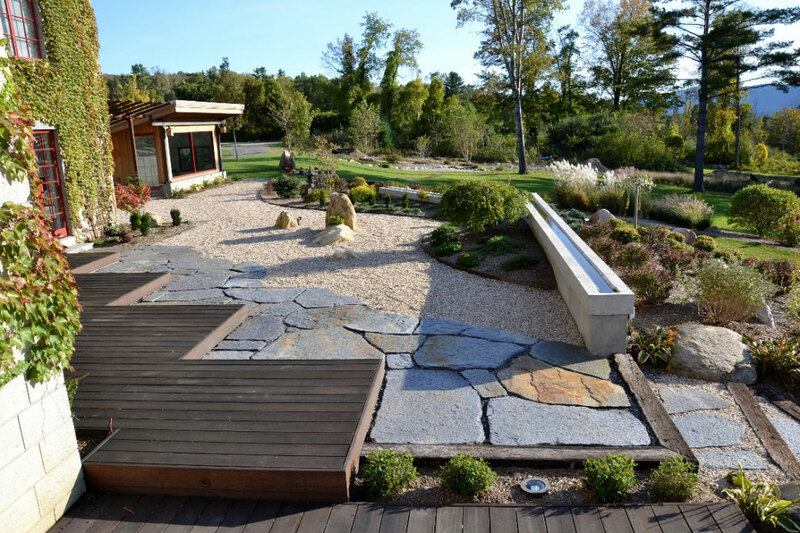 Terraced native boulder retaining walls allow for main house expansion and drop-off lane. 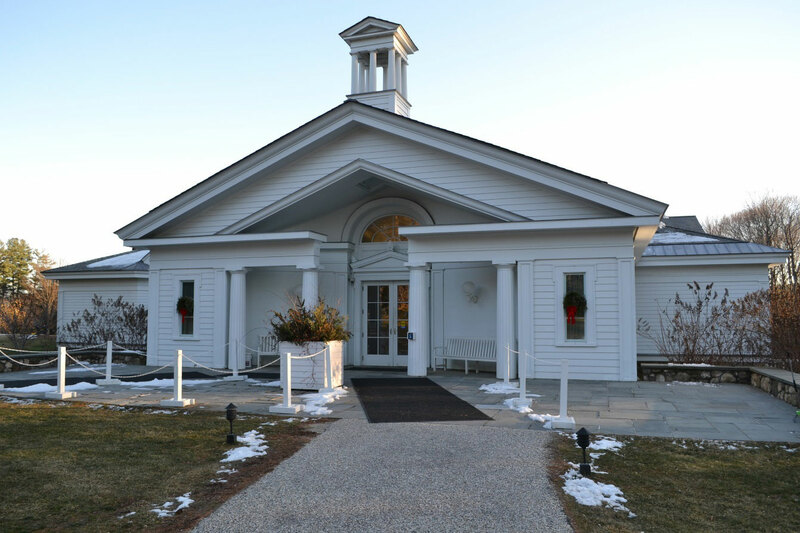 Walls planted with masses of tall ornamental grasses, mixed Daylilies and Hostas along the top. Filtered view of Lake Garfield to left. 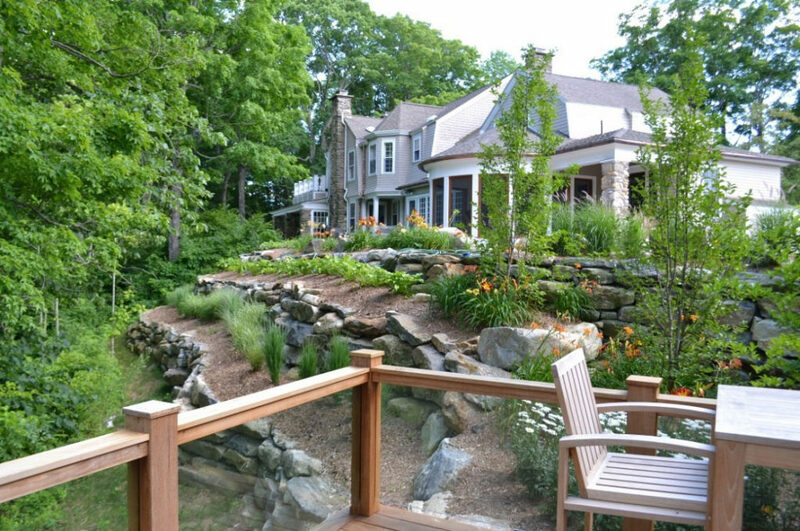 View from main house of new screen porch, carriage barn, hot tub deck, terraced native boulder walls. Mahogany deck is cantilevered and has glass railings to provide some wind protection and retain views of the woodlands and lake. Large Stewartia trees nestle in bed below the deck and partially screen the carriage barn from the screen porch. 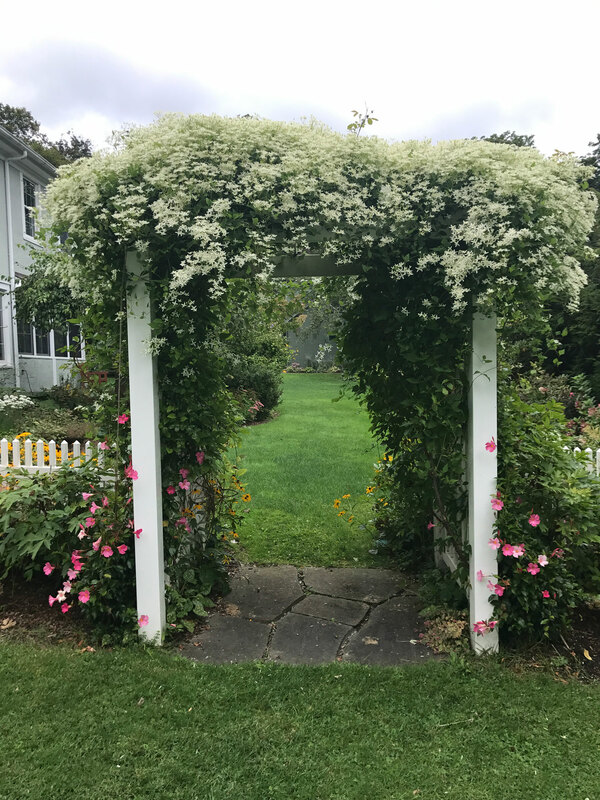 Mass plantings of mid-summer perennials are under these trees including Daylilies and Daisies. 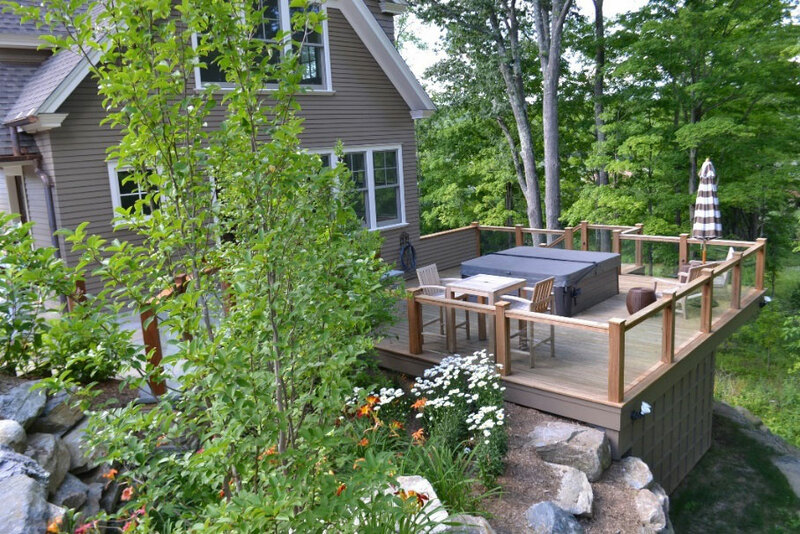 Hot tub deck at carriage barn – cantilevered out to capture views of Lake Garfield and hills.